The dinner we cooked when Teun came over consisted of tuna with runner beans as antipasto, gnocchi alla sorrentina as primo, iberico pork sous-vide as secondo, and finally chocolate stuffed ancho chile with amarena cherries as dolce. The pigs that are grown for the famous jamón ibérico from Spain do not just yield the hams, but also other fine cuts of meat. The finest is called the secreto (literally secret) and is a very nicely marbled piece of pork with lots of flavor. Teun and Albert introduced me to this cut, and I absolutely love it. Cooking it sous-vide is of course a great way to enjoy it to its fullest. 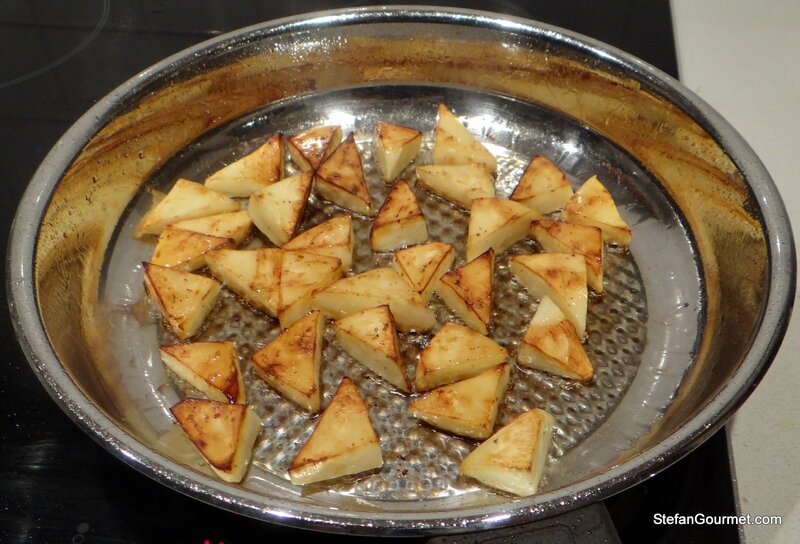 I thought it would be nice to combine it with celeriac fondant, and the dish did turn out great. 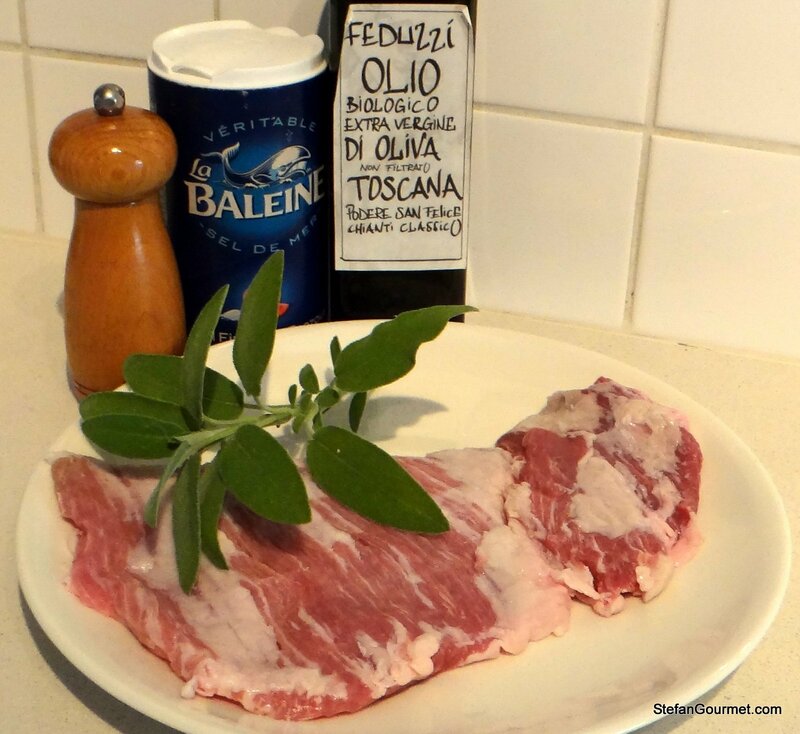 Rub the pork with salt, freshly ground black pepper, and olive oil. 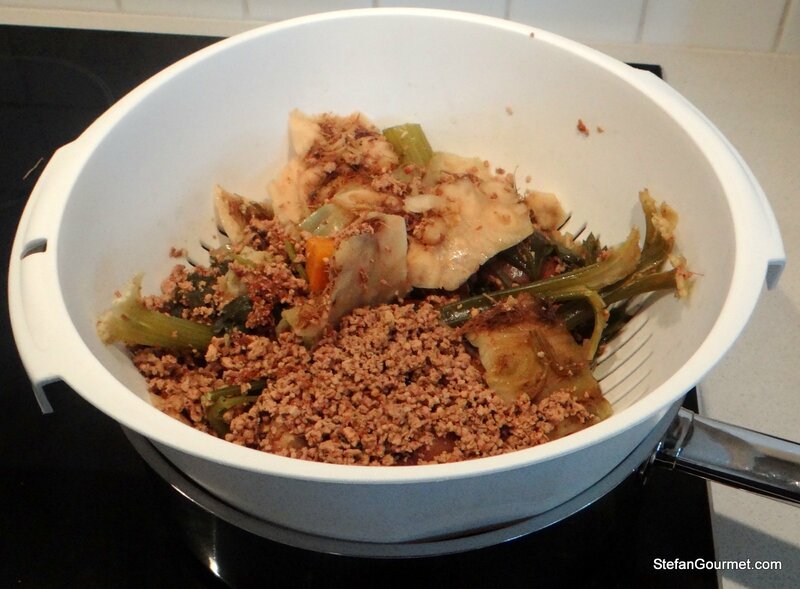 Sprinkle with the sage and vacuum seal. 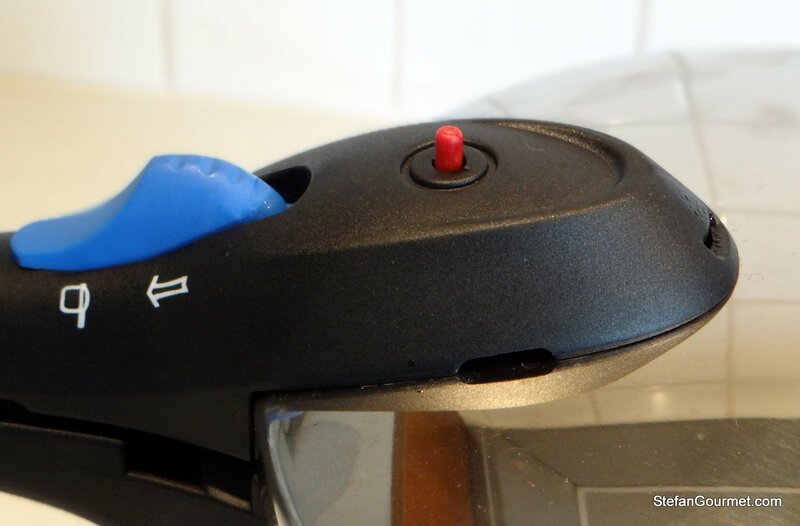 Scald briefly in boiling water to prevent a bad smell. Cook sous-vide for 24 hours at 57C/135F. (Please note that the meat will be fully pasteurized. You may not be used to eating pork that is still pink, but that is absolutely fine as it is cooked for such a long time.) In this case we discarded the bag juices because we only wanted the sage on the meat and not in the sauce as well. Chop the veggies for the stock. 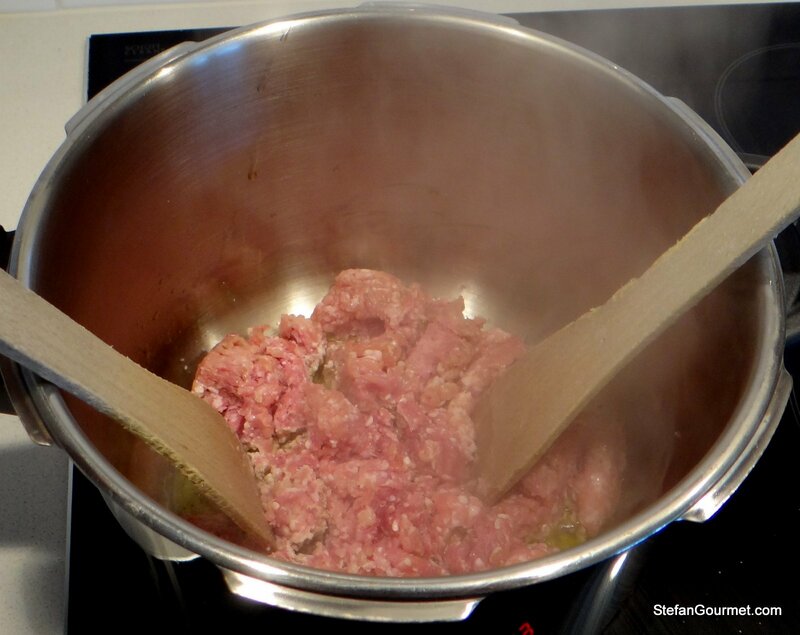 Brown the ground pork in some olive oil over high heat. We did this directly in the pressure cooker, but if you don’t use a pressure cooker you can do this in a regular stock pot. Brown the meat until it starts to sizzle and there is a nice layer of brown stuff stuck to the bottom of the pot. This should be brown, not burned! Now add 1 litre (4 cups) of cold water, and the veggies. Use a wooden spatula to scrape all the tasty brown bits off the bottom of the pot. Close the pressure cooker and pressurize over high heat to the high pressure setting (13-15 psi). Lower the heat once pressure has been reached. Now cook for 2 hours. Then turn off the heat and wait until the pressure has dropped before opening the pressure cooker. 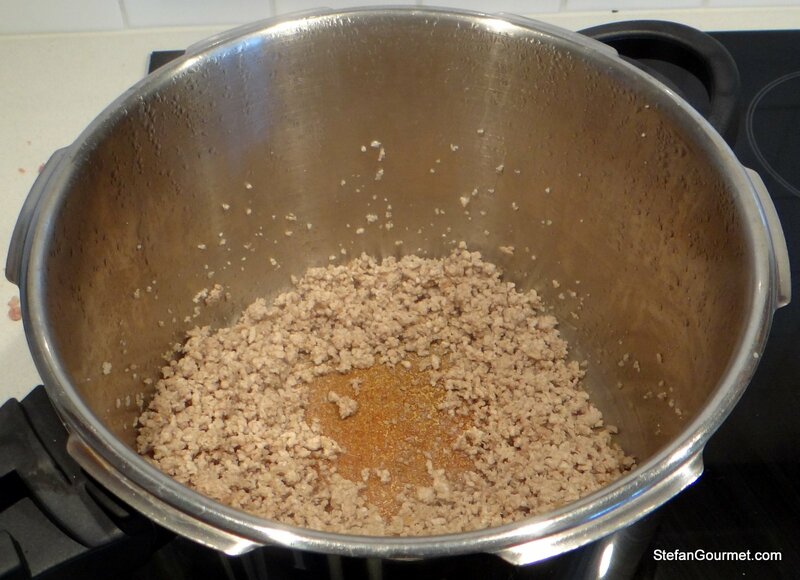 If using a regular pot, bring to a boil, cover, then lower the heat and allow to simmer for 4 hours. 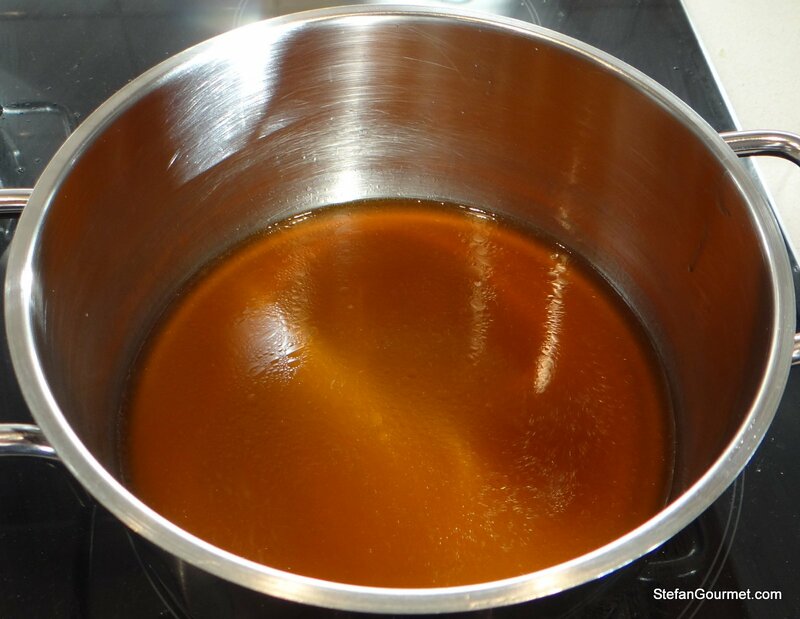 Making stock in a pressure cooker is faster and provides better extraction. Drain the stock, discarding the solids. 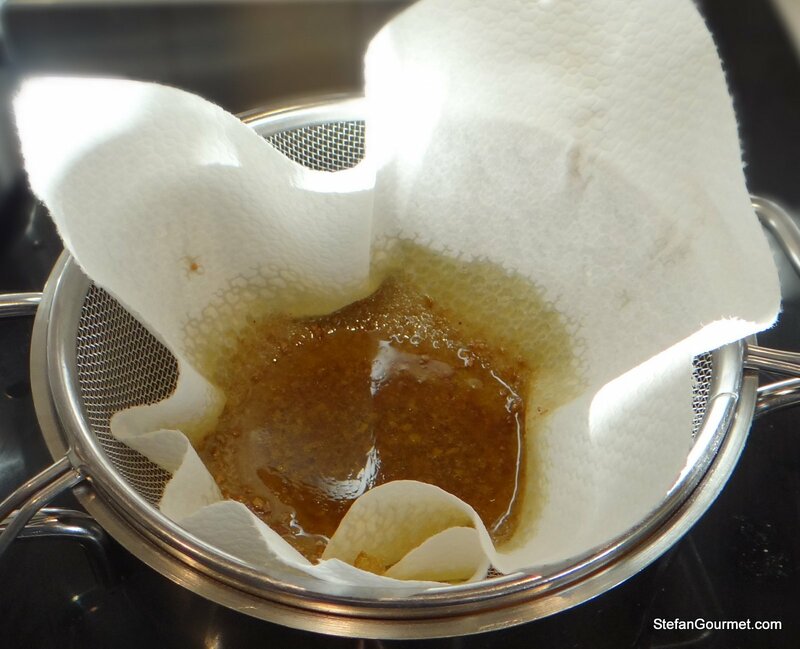 Filter the stock with a cheese cloth or kitchen paper to remove most of the fat and any small particles. 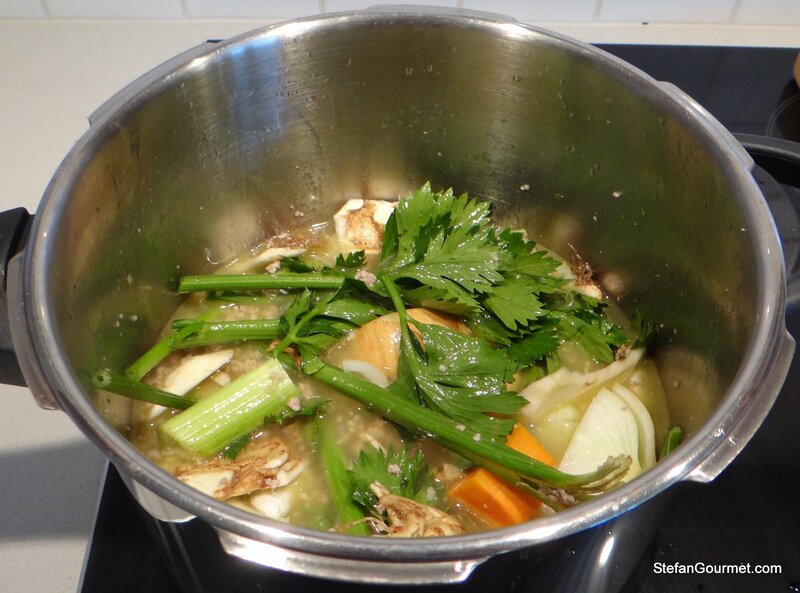 Bring the stock to a boil in a wide shallow pan, then lower the heat to a simmer. 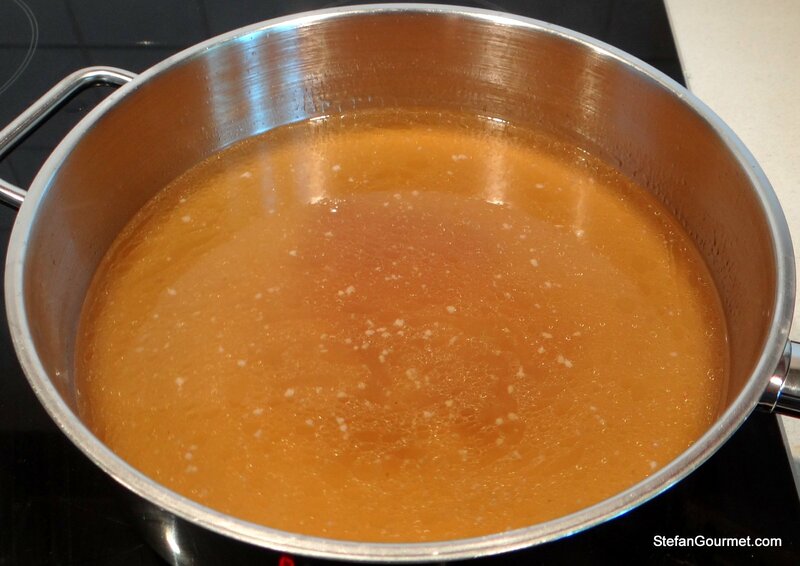 Simmer the stock until it has been reduced to about 180 ml (3/4 cup). 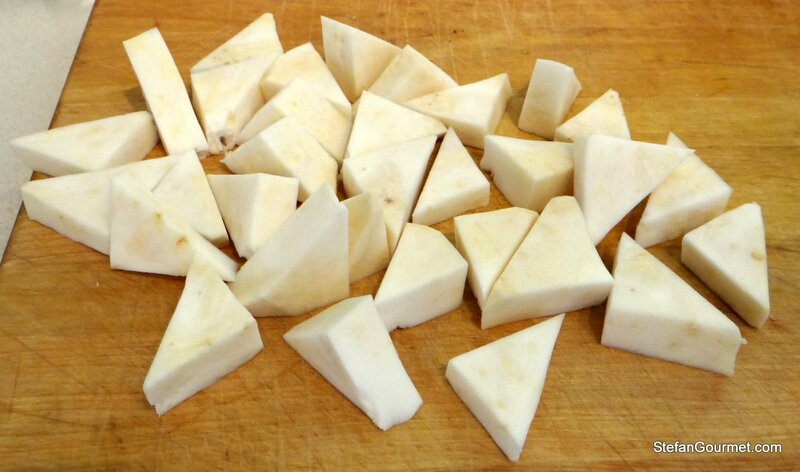 Cut the celeriac into triangles. 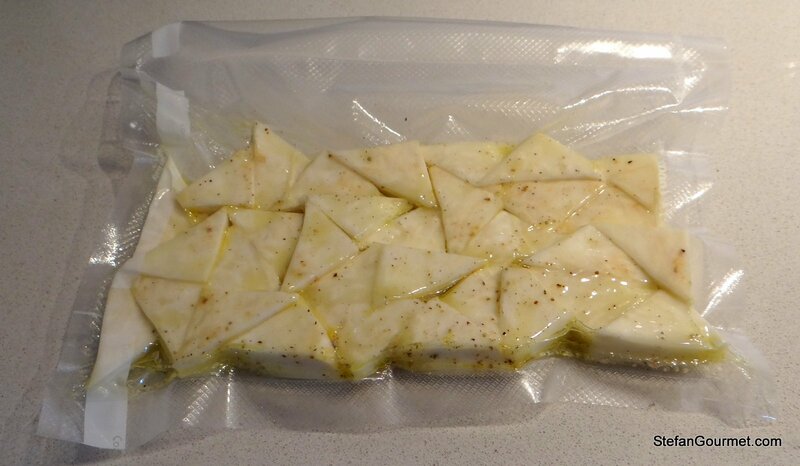 Vacuum seal the celeriac with olive oil, salt, and freshly ground white pepper. 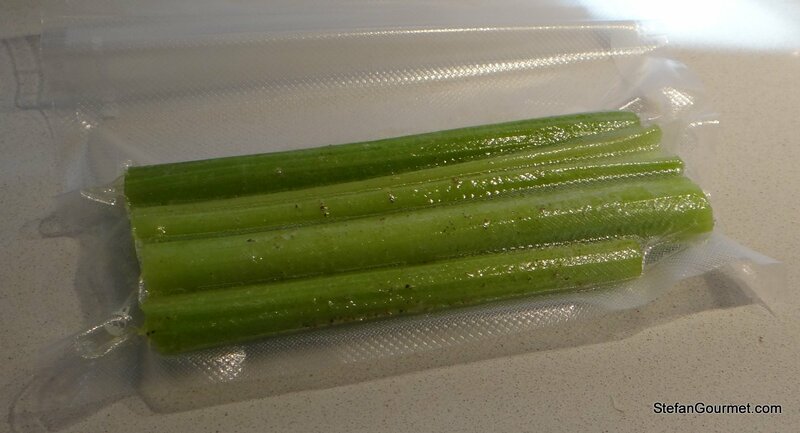 Wash and trim the celery stalks. 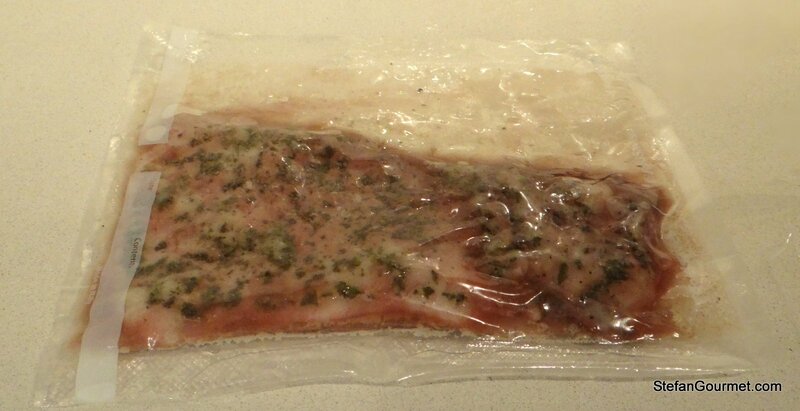 Vacuum seal with olive oil, salt, and freshly ground white pepper. Brown the celeriac in clarified butter (if you have it, otherwise use olive oil) over high heat. Add half of the reduced pork stock. 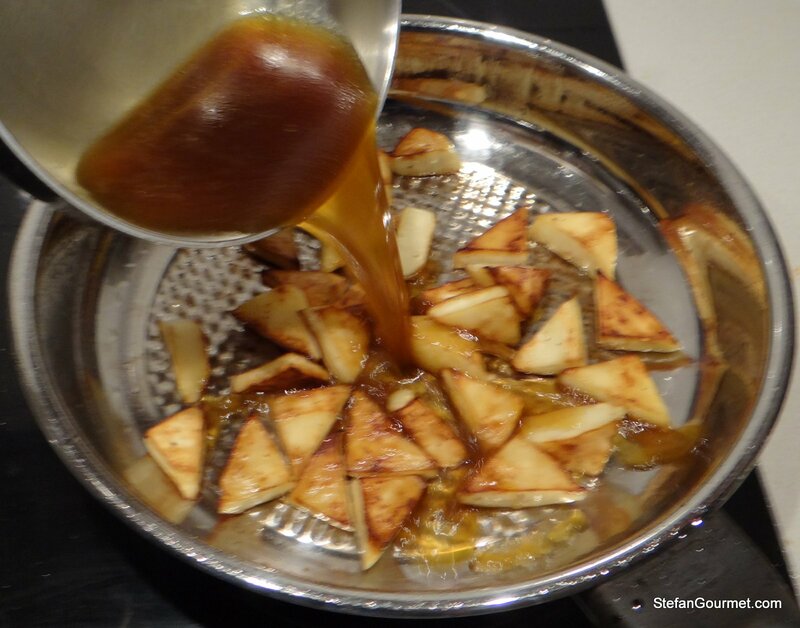 Cook, stirring, over medium heat until the celeriac has been coated with a syrupy glaze. Turn off the heat. 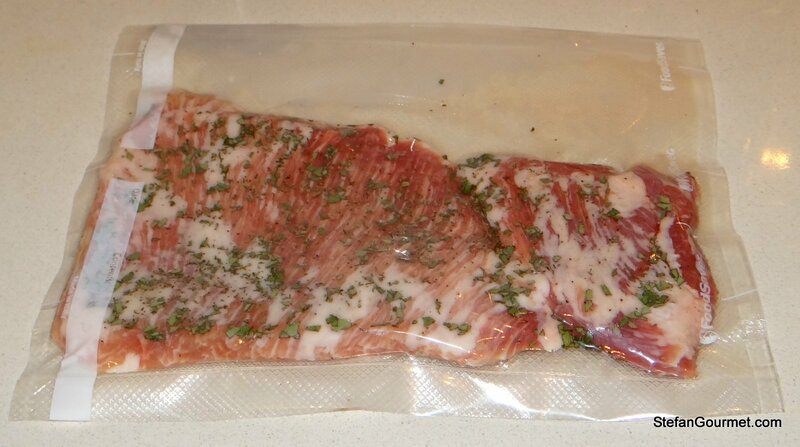 Take the secreto out of the sous-vide pouch and pat dry with paper towels. 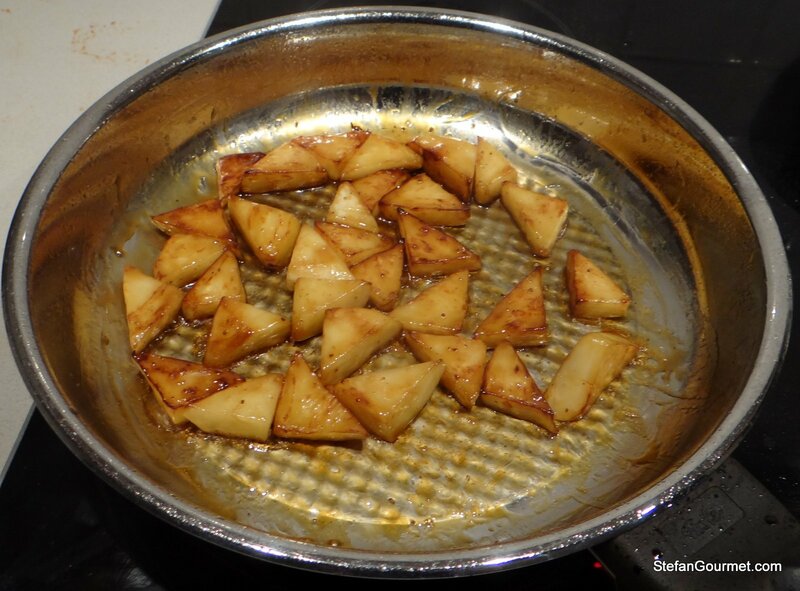 Brown very quickly over very high heat, preferably in clarified butter or otherwise in olive oil. (Unfortunately I forgot to take a picture of this step.) 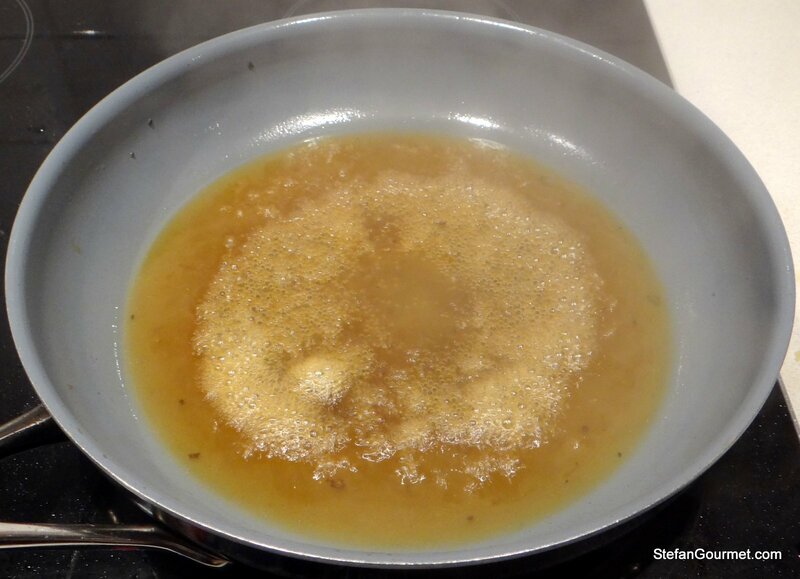 Take the secreto out of the frying pan, and deglaze it with the remaining stock. Reduce over medium heat until you obtain a syrupy sauce. Slice the meat across the grain and arrange it on warm plates. 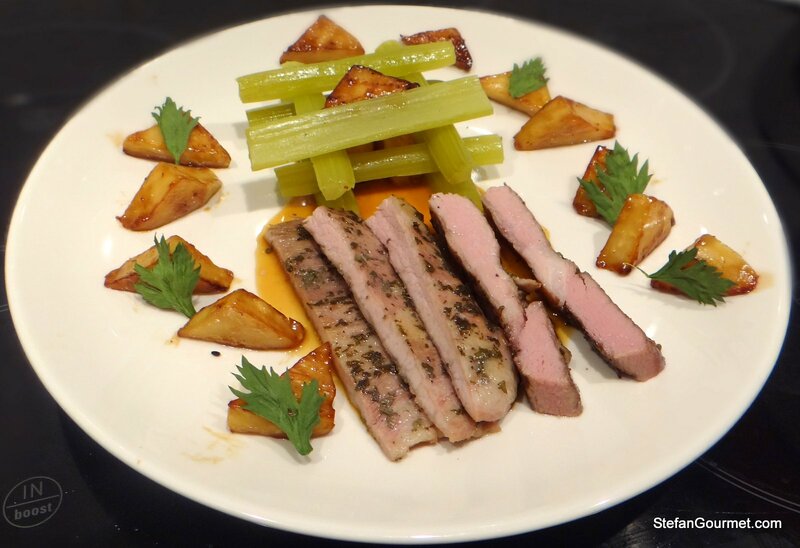 Serve with the sauce, the celeriac fondant and the celery stalks, and garnish with celery leaves. We enjoyed this with a very nice bottle of oaked chardonnay from Valle d’Aosta (northwestern Italy). A very full-bodied white is the best match for this dish, but if you prefer red then it should be a light one that doesn’t overpower the pork. An older Spanish rioja would be appropriate, but a pinot noir could also work. that looks really wonderful Stefan and the plating looks inviting and delicious! I’ve never had secreto before, I didn’t even knew of it, so thanks for the post, one more cut of meat I need to research. Really like your step by step section on the stock. I got one questions. about the celeriac fondant. Why is it called fondant? Thanks, Paul. Fondant vegetables, and mostly fondant potatoes, are a UK restaurant side. 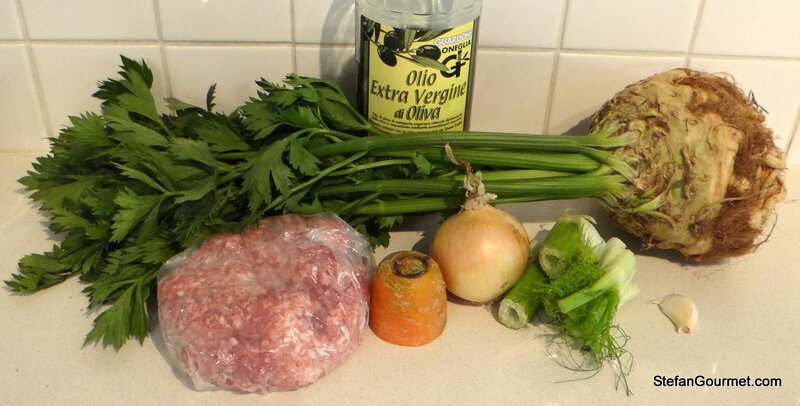 Its preparation does not usually involve sous-vide, but just simmering in the stock instead. I don’t know why it’s called fondant, perhaps because the stock is thought of as icing on the veggies? yeah, I wouldn’t know. Definitely not common here in the us that I know. What a fantastic meal that you prepared and shared, Stefan! Each dish sounds so very delicious. You really do know how to entertain. Fantastic Stefan. Lovely walk-through and probably your best ever plated shot. I could imagine how tasty it must have been. Thanks, Richard. I can get the pork in Amsterdam at a wholesale place where restaurants do their shopping, or order it online. I suppose it helps that Spain is just a truck ride away from here. I questioned often too where to get the iberico. 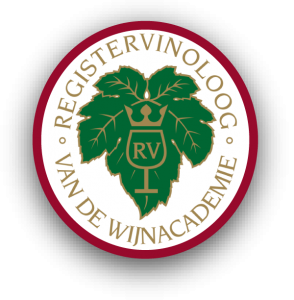 Does the wholesaler begin with an H and ends with an S, Amsterdam south area? Yes, that’s where I get it. Officially it’s Duivendrecht. I’m so jealous. That would cost an arm and a leg here in the US. In Spain, we had iberico prosciutto as well as jamon serrano and honestly, I couldn’t tell the difference. So we stuck to the cheaper stuff! Beautiful dish!